In an age when the digitalisation of trade finance is high on the agenda, at least 50% of banks say they are still years away from implementing technology solutions in their trade finance operations. The annual International Chamber of Commerce (ICC) Banking Commission’s global survey finds that 13% of banks are currently struggling to implement technology solutions; for a further 7% of banks the implementation of technology solutions is simply not on the agenda at all; and an additional 30% say that this is something that will only be addressed in the next one to two years. Those who have gone ahead with digital upgrades have rarely found it to be plain sailing: 36% feel there is room for improvement in the technology solutions they have implemented. Just a small proportion of banks (9%) note a reduction of time and costs as a result of successful execution of such solutions. A further 3% have installed digital trade finance solutions with benefits yet to materialise, and the remaining 3% do not know what their company’s maturity in this space is. What’s more, when it comes to removing the use of physical paper, it seems the trade industry is not exactly progressing at a rate of knots: around 50% of respondents say that physical paper has to “some” extent been removed in the issuance/advising and settlement/financing of documentary transactions. In the document verification process, 52% of respondents say that paper has not been removed at all. According to Boston Consulting Group estimates, digitalisation could cut trade finance costs by up to US$6bn in three to five years and boost banks’ trade finance revenues by 10%. So why are only a minority of banks seeing technology solutions bringing about greater operational efficiency? Olivier Paul, head of policy at ICC banking commission talks to GTR about his perspective on banks’ uptake of digital solutions, following the publication of the Banking Commission’s report Global Trade: Securing Future Growth. GTR: Why are 30% of banks doubtful of implementing technology solutions any sooner than one to two years in the future? Paul: The trade finance and supply chain finance (SCF) industry is experiencing an unprecedented degree of momentum around innovation; some elements of which link back to physical supply chains, to broader developments in financial services, and to the impact of non-bank players. Major players have already implemented significant new technology capabilities in operations, document-handling, processing systems and other areas, thus it is not necessarily a matter of concern that a portion of the industry is focusing on other aspects, such as product development, compliance and regulatory issues and other aspects of the business that may be unrelated to technology. Clearly, one to two years is a short timeframe considering the inherent complexities of supply chains. That is not to say that there are not barriers to the pace of digitalisation which we need to address, of course – with the lack of clear standards for the digital connectivity of service providers one issue that likely restricts uptake of digital solutions. One of the roles of the ICC Banking Commission’s working group on digitalisation is to address this uncertainty and develop a set of minimum standards for industry use. GTR: Why do 7% of banks say digitalisation is not on their agenda at all? Paul: The broad reach of the Banking Commission survey, geographically and across the business of trade financing, results in a number of responses coming from developing and emerging markets, where other priorities may drive strategic, operational and product priorities. Even in cases where developing market banks are assessing opportunities to leapfrog legacy technology, it is reasonable to expect that some percentage of respondents might be focused on enhancing more fundamental capabilities, given that the digitalisation of trade (and trade finance) is at initial stages of development and market adoption. GTR: What are the barriers to implementing technology solutions to digitalising trade finance operations? Paul: The digitalisation of trade and of trade financing is all but inevitable, even if the timeline is difficult to estimate accurately. There are issues to be addressed in terms of legal status of digital documentation, technological capabilities to ensure non-repudiation and appropriate levels of comfort around fraud prevention, market acceptance and adoption. We will also need to adapt ICC rules for trade finance, in liaison with the regulators, to ensure that they are ‘e-compatible’ and ‘e-compliant’. These are all issues that are expected and anticipated – none of which will amount to a permanent barrier, but all of which will need to be appropriately, strategically and operationally addressed by the market. GTR: Why have more than half of respondents not removed paper from the document verification process at all? Paul: The use of paper documentation is pervasive across the ecosystem of international commerce, so it is promising that almost half of respondents are already seeking to remove paper from their processes. Some paper documentation originates from (or is required by) government entities, international institutions and other bodies with material influence, whilst other documentation persists for reasons of legal enforceability and standing. The ‘removal’ of paper is not something that can be done unilaterally by trade financiers, but rather requires a ‘whole of trade’ approach. 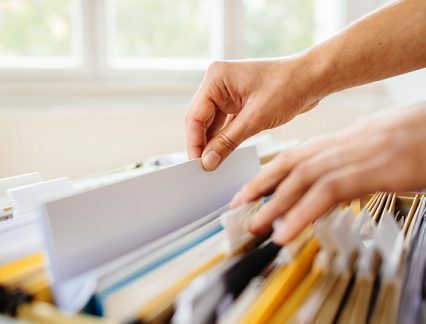 It is also worth saying that most banks have implemented, or are implementing, forms of artificial intelligence to assist with the document management process – so while the documents remain in paper form, the handling of them is increasingly digitalised.